On this blog I'll be sharing few pictures wherein we all would be exploring the world. Stay connected with Rishabh Datta's Blog. I really had a great time in Jaipur, if you’re planning for a trip these winters then let me tell you, Jaipur is one of the best options. I stayed there for 4 days and it was full of fun. First of all we visited Birla Temple and Albert Hall museum. I found few amazing items in museum. It was totally unexpected. After that next day we visited Amer Fort and we had a great time there clicking pictures and having a look at such amazing views. We visited Jaigarh Fort and Nahargarh Fort the same day. That day was full of adventure. Next day we visited Jal Mahal and Hawa Mahal and it was too cool as well. You can spend some quality time if you're with a good guide. I found Jaipur is full of talent and structural design of this place is absolutely ultimate. You'll get few amazing Astrologer too if you'll visit Amber Fort. 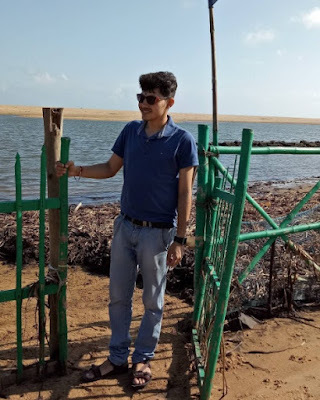 I really had a great time in Puri Orissa, we stayed for some time in Lotus beach resort in Puri and I really liked almost each and everything about that place. I would strongly recommend you all to visit there at least once in a lifetime. It's a amazing and such a peaceful place. You will find this resort 7 kms away from Konark and this is the only resort near to the sun temple Konark. You can even enjoy the sunrise and sunset scenes from there as well. It has luxurious rooms with all the facilities and food of this resort is truly ultimate and you will definitely enjoy to the core. Bangalore is such a neat and clean city. If you’re looking out for some peace, Bangalore is the best choice. I visited AOL Ashram in 2016 with my sister and brother in law and it was such a great experience. I simply loved being there and I fell in love with the nature. I’m looking forward to visit there once again. Have a look at my visit to sun temple Konark, Orissa. It was such an amazing experience. The temple complex is in the shape of a gigantic chariot, having elaborately carved stone wheels, pillars and walls. This temple is 35 km from Puri and 65 km from Bhubaneswar. This temple has also featured on various lists of “Seven Wonders of India”. I really enjoyed being there. You can also spend some time there with family. Travel Diaries - Copyright © Rishabh Datta. Picture Window theme. Theme images by Nic_Taylor. Powered by Blogger.